Ten days, eleven states (1): Almost 2800 miles from Georgia to Minnesota | A balanced diet . . . Yes. That’s right. Eleven states in just ten days. 2764 miles to be precise. Ninety-four gallons of gasoline consumed. Almost 30 mpg at just USD209. 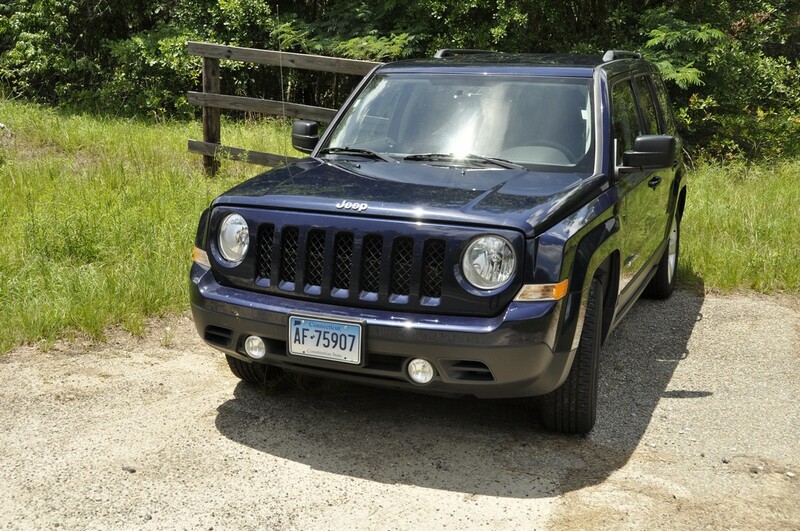 That’s not bad considering we rented a Jeep Patriot SUV (with a Connecticut licence plate!). I’d opted for a car rental through Rentalcars.com and chose Alamo as the best deal. Just USD357 for the actual rental, USD250 for the one way drop-off fee, and USD98 for roadside assistance cover and various taxes. 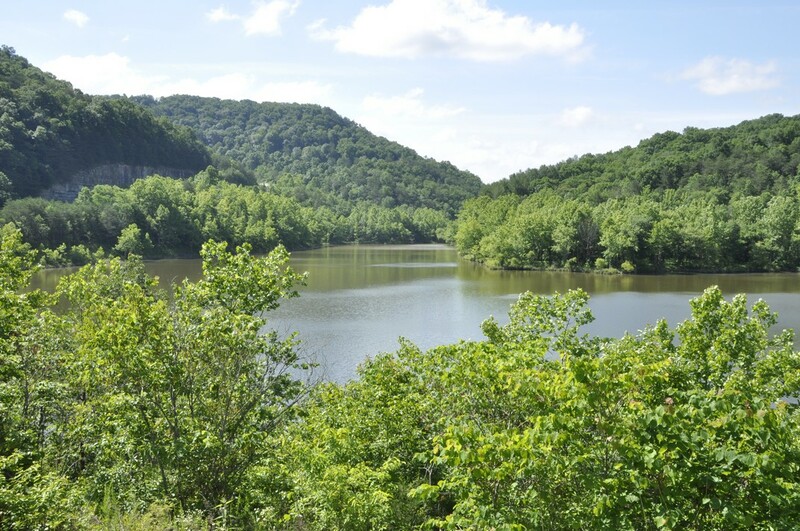 I had planned our route meticulously, taking in various sites and landscape features I thought would be interesting, and avoiding as much as possible any of the interstate highways. 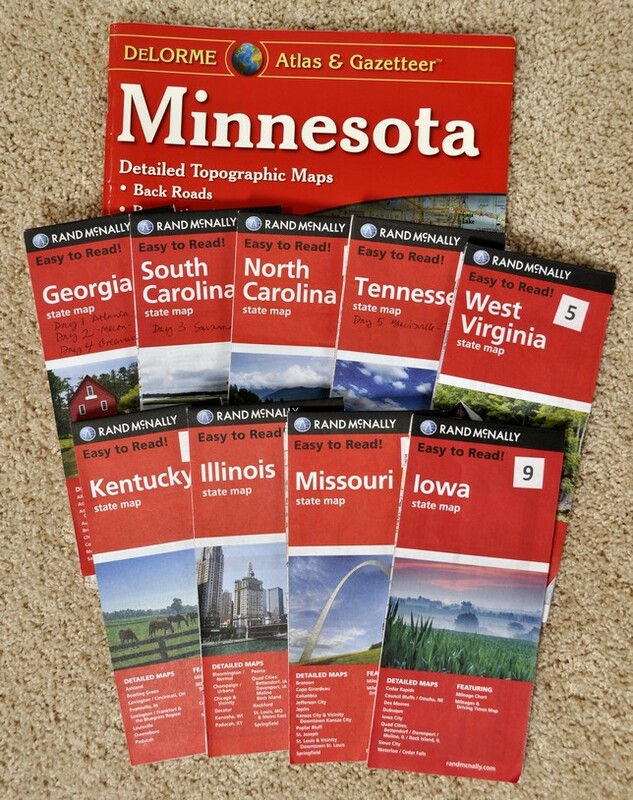 I bought Rand McNally road maps for all states except Virginia and Minnesota (we already had a DeLorme Atlas & Gazetteer for MN). I checked precise US and State Routes using Google maps since the scale of the Rand McNally didn’t always show the road name. I even used Google Streetview to check the various intersections, and before we traveled I already had an image in my mind of the entire route. 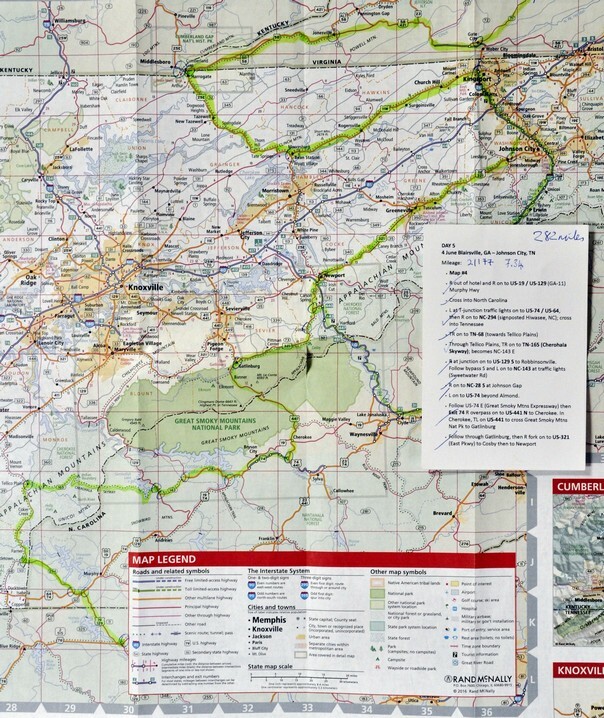 I prepared daily detailed route plans on cards, which Steph used to navigate us across country from Atlanta to Minnesota, with each map marked at decision points corresponding to the route card details (you can just make out a series of circles on the map below). Fortunately, US roads are very well signposted and road signs (e.g. 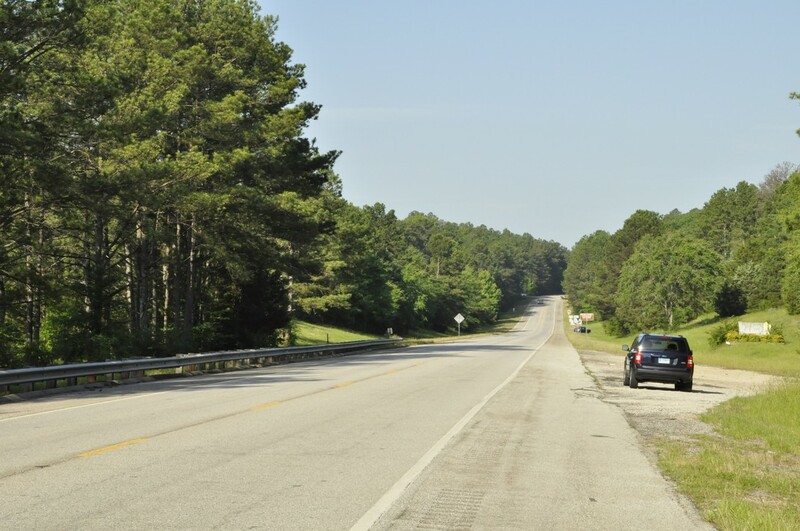 US61 or GA23, for example) are posted every few miles. It was hard to go wrong, but we did on three occasions; nothing major, however. 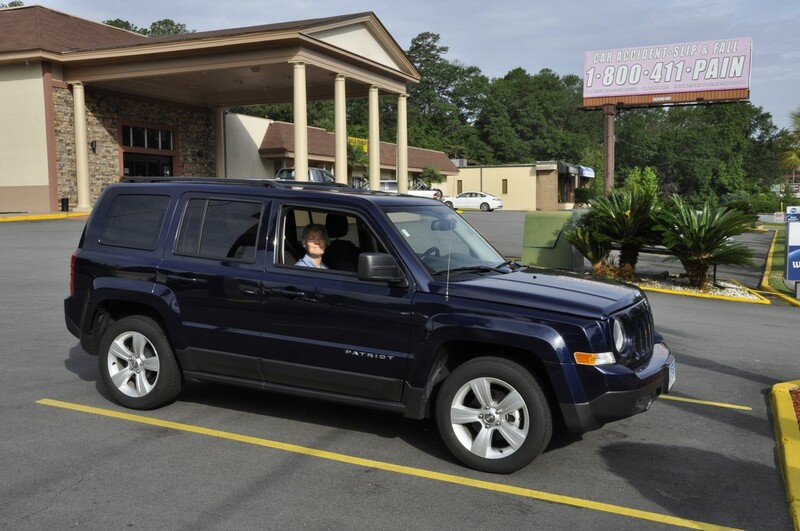 My first mistake was leaving the car rental center at Atlanta Hartsfield-Jackson International Airport. I turned on to I-85N instead of I-85S, but was able to turn around within a mile. On two other occasions we made a turn too early, but realised almost immediately. Not bad really for such a long road trip. Nor did we encounter any road works that held us up, or any road accidents. We almost never saw a police car. We stayed in ‘chain’ hotels like Best Western, Comfort Inn, Quality Inn and the like, about USD100 or so a night. 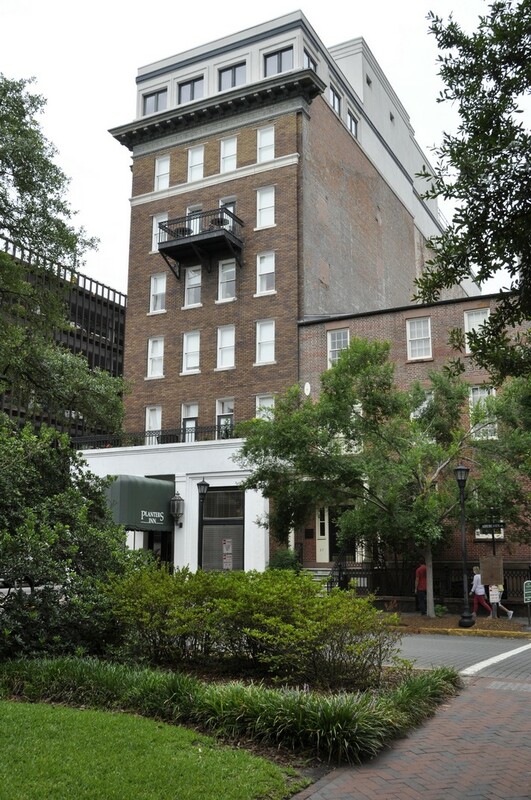 In Savannah we stayed at The Planters Inn on Reynolds Square, close to the river and other historic attractions, and this was our most expensive at around USD230 including taxes and valet parking. Breakfast (if you can call it that) was provided in each hotel. For lunch, eaten by the roadside or at a scenic viewpoint, we picked up a freshly-made sandwich and with some fruit from the hotel, we had enough to keep us going until a substantial dinner in the evening. Surprisingly, we ate Mexican on three nights and had very good meals. There was even beer! Twice we ate at the nearby Cracker Barrel Old Country Store – reasonable food but no beer. Walking into our second Cracker Barrel in Troy, IL it was déjà vu; the layout of the restaurant and the store was identical to the one we patronised in Johnson City, TN. Anyway, here is a summary of our epic road trip. Since we had only a relatively short journey to reach Savannah, and because I wanted us to get a good rest before setting off once again, we didn’t leave Macon until after 09:00. Our hotel in Savannah (Planter’s Inn on Reynolds Square) had contacted me that morning by SMS asking what time we expected to arrive and hoping to have a room ready then. Not only was our room ready at just after 11:00, but we’d been upgraded to a balcony room. Once we had settled in, we set off on a leisurely stroll around the historic riverside where the old cotton warehouses have been converted to restaurants and other retail outlets, as well as apartments. Savannah oozes history (and Spanish moss) – a direct line of historical events from the early 18th century, when it was founded, through Colonial times, and the turmoil of the Revolutionary and Civil Wars. We spent the morning in Savannah absorbing the Colonial, Revolutionary and Civil Wars history of this beautiful city. The weather didn’t look promising, with thunderstorms forecast, so we left the hotel by 07:30 and wandered through the various squares, parks and colonial streets for three hours, with just a small shower to bother us. After freshening up at the hotel and checking out, we were on the road again by 11:30, headed for Greenwood in the northwest of South Carolina. 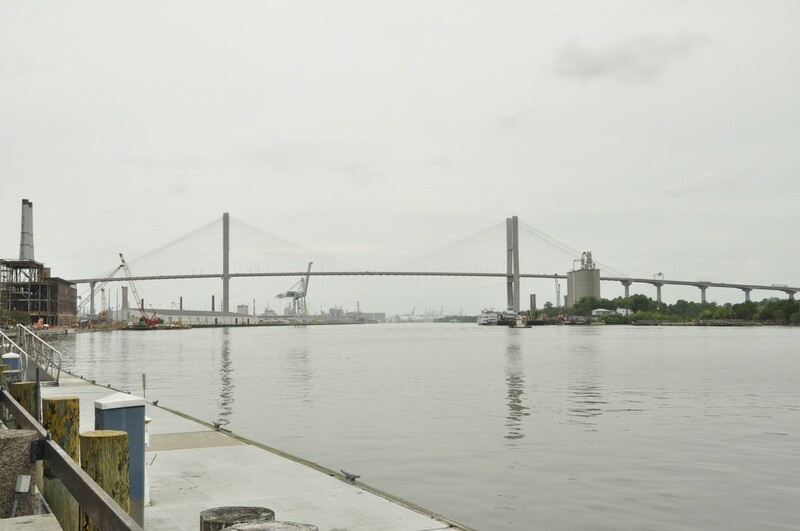 The US17 route out of Savannah crosses the Savannah River over the fine-looking Talmadge Memorial Bridge, completed in 1991, 185 feet above the water. We passed through a heavy rainstorm for the first 20 miles or so, but the weather brightened, and we stopped for a bite to eat beside the road in glorious sunshine. The road north was almost completely straight passing through small towns with names like Denmark, Sweden and Norway. There wasn’t much evidence of much agriculture, just some maize on this coastal plain with rather sandy soils. Communities seemed quite impoverished (according to the 2010 census it is the 7th poorest state). Nevertheless, the Southern Baptist (and some Presbyterian) churches and chapels stood in stark contrast. I’ve never seen so many places of worship so close together. There must be a lot of wicked souls need saving in South Carolina (and surrounding states) to require so many churches, often within just a few hundred yards of each other (or closer). We were in Greenwood by 17:00, found our hotel, the Hampton Inn, and enjoyed steak and seafood meals at the Red Lobster outlet beside the hotel. Distance-wise this was never going to be one of the longest days, but I had planned our route climbing into the Appalachians through the Chatterhoochee National Forest on US60, a winding road among the trees. We departed from Greenwood around 08:00 and made our first stop at the SC-GA state line to look over the Savannah River at Calhoun Falls. We had another stop at Cleveland, GA to tour the historic courthouse museum, and arrived in Blairsville by about 15:00. Not wanting to go straight to our hotel, the Comfort Inn, so early in the day, we opted for a 55 mile round trip taking in some of the hills and forest to the north and east of Blairsville, arriving to Brasstown Bald, the highest point in Georgia at 4500 feet, around 16:30 just in time to take the last shuttle bus to the summit, and down again. I decided not to walk the 1 mile descent from the summit to the car park because the average gradient was more than 14%, and Steph and I were concerned that I might hurt my right leg, which is still giving me some grief 18 months after I broke it. This was our opportunity of really traveling through the Appalachians. I’d chosen to travel east along the Cherohala Skyway in North Carolina. We had expected some poor weather this day, so set off as early as we could get away in order to enjoy the early morning brightness. The Cherohala offers some spectacular views along the way, and we were not disappointed at all. But the further east we went, the more cloudy it became, and by the time we reached US441 to cross the Great Smoky Mountains National Park, it was raining quite hard and we didn’t really see very much at all. 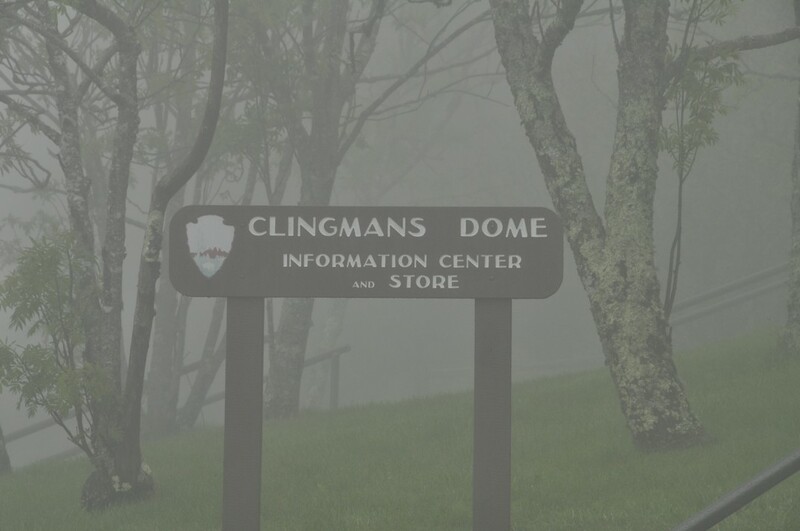 We took the side route of about seven miles to Clingman’s Dome, the highest point over 6600 feet. Couldn’t see a thing! But lower down on the north side, the weather improved and we did see something of the Smoky Mountains. We then dropped down to Gatlinburg in Tennessee. 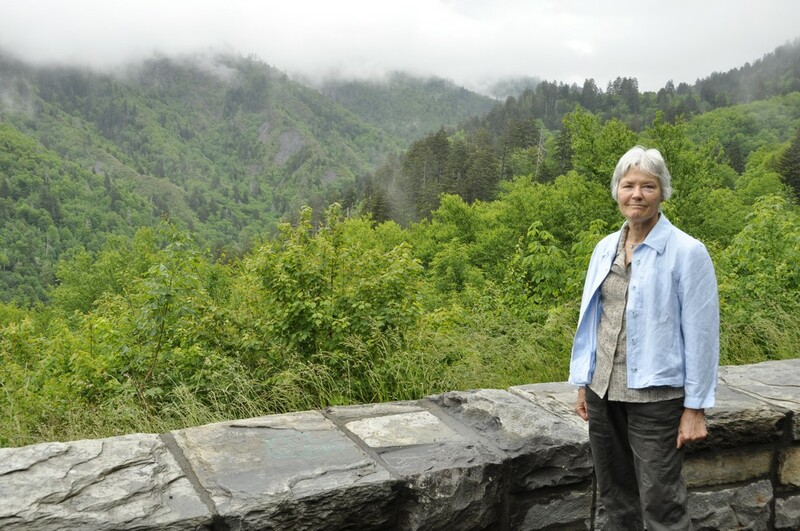 If you’ve ever harbored the desire to visit Gatlinburg – don’t. What a tourist disaster! A narrow highway through the center of the town, tackiest tourist souvenir stores lining both sides, and even though this was early in the tourist season, there were throngs of people about. I’m glad we were only passing through. Then it was on to our hotel on the outskirts of Johnson City. The focus early in the day was the Cumberland Gap, northwest of Johnson City by about 80 miles or so. Not long after leaving Johnson City, along US11, we passed through one of the heaviest rain storms I’ve ever experienced. I could hardly see in front of the car. 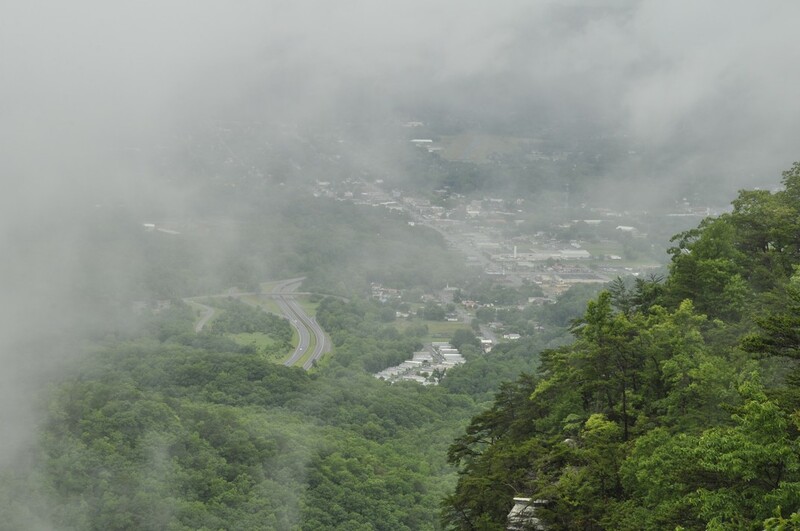 But by the time we reached Cumberland Gap, the clouds had lifted somewhat, and the sun appeared. The ‘Cumberland Gap’ is familiar to me from my skiffle days, as sung by Lonnie Donegan. 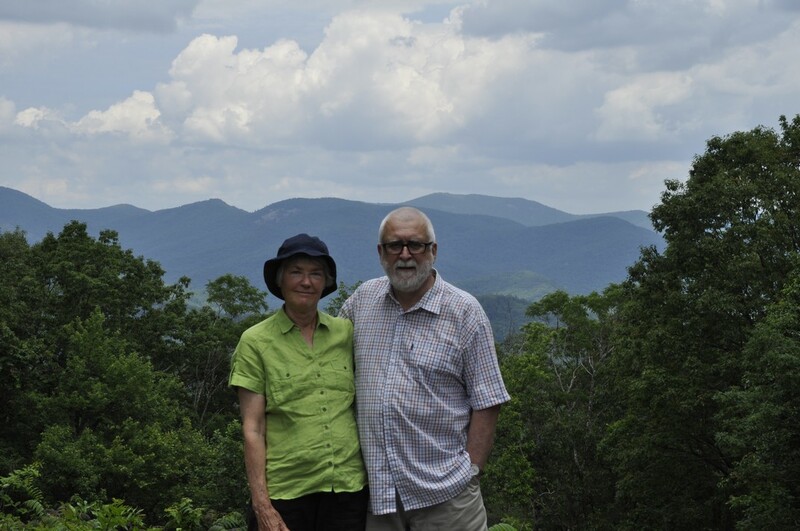 We went up to the Pinnacle Overlook, hoping to see the views over Tennessee, Virginia, and Kentucky – even as far as North Carolina on a good day. It was only a case of ‘now you see it, now you don’t’ as the clouds came rolling in, then dispersed. 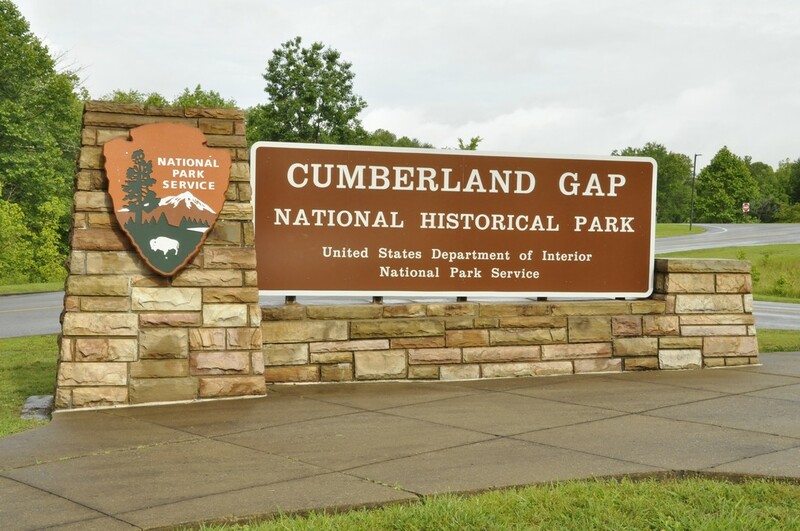 As a major pass through the Appalachians, the Cumberland Gap was strategically important for both the Union and Confederacy during the Civil War of the 1860s, and changed sides every so often. There is still evidence of military occupation high on the Overlook. Looking north into Kentucky and the town of Middlesboro. The highway has just emerged from the tunnel through the Gap. 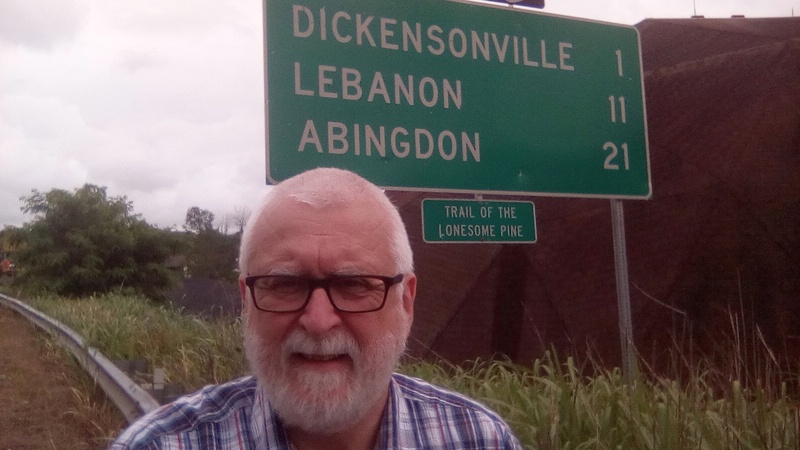 Then later in the day, heading east towards Charleston, the capital of West Virginia, we traveled along The Trail of the Lonesome Pine in Virginia. Until I was planning this trip, I wasn’t even aware that the Trail was a real entity, not after I’d heard Laurel and Hardy singing about it. 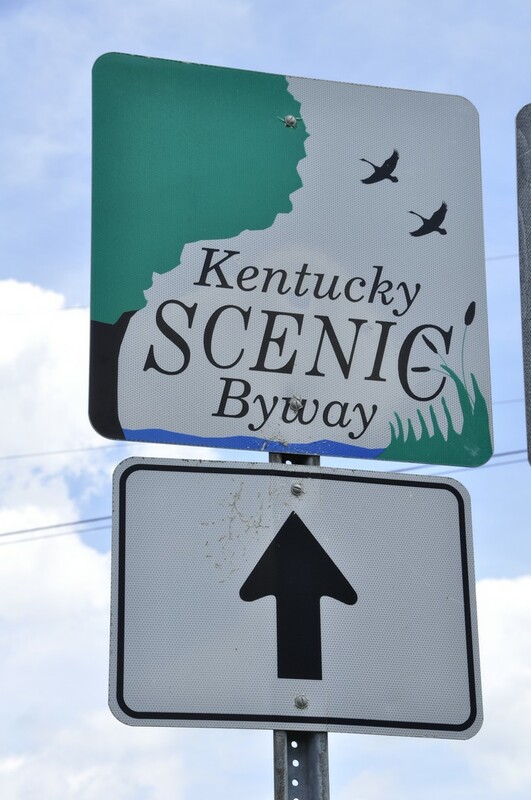 Our destination this day was Cave City in central Kentucky where we planned to visit the Mammoth Cave National Park the following day. Heading west out of Charleston on I-64, we turned south at Morehead in Kentucky (about 110 miles west) to head south through the Daniel Boone National Forest. We traveled some 125 miles along scenic highways and byways. Then we turned west on the Cumberland Parkway west of Somerset, KY for the rest of the day’s trip to make up some time and so as not to arrive to our hotel too late. However, Kentucky is divided into two time zones, so we gained an hour (from Eastern to Central Time) about 80 miles east of Cave City. The Mammoth Cave National Park opened at 08:00, and we were at the Visitor Center not long afterwards. I had booked a tour of the Frozen Niagara cave some months back, at 09:20. This was a guided tour, the first of the day, and to a cave that was easily accessible. I didn’t want to contend with scrambling over rocks with my leg. In any case we planned to stay at the Park only until late morning as we still had the whole day’s trip of over 350 miles to make. We enjoyed the cave, along with a group of fewer than 30 others. The caves are kept closed and it’s generally not possible to visit them alone. What amazed us is that the cave system, at over 440 mapped miles is the largest system in the world. The Park gets very busy during school holidays, and we were fortunate to have visited when we did. Our next port of call was Fort Defiance at the confluence of the Ohio and Mississippi Rivers, and the southernmost point of Illinois. Most impressive. That’s the Ohio River behind us and the bridge between Kentucky and Illinois . . .
Then we followed the Mississippi north towards St Louis and our hotel in Troy just northeast of the city, catching a glimpse of the famous Gateway Arch as we skirted the city center on the Illinois side of the river. Our plan was to follow the Mississippi north through Missouri into Iowa. Heading west around the north of St Louis we crossed both the Mississippi and Missouri Rivers close to their confluence. 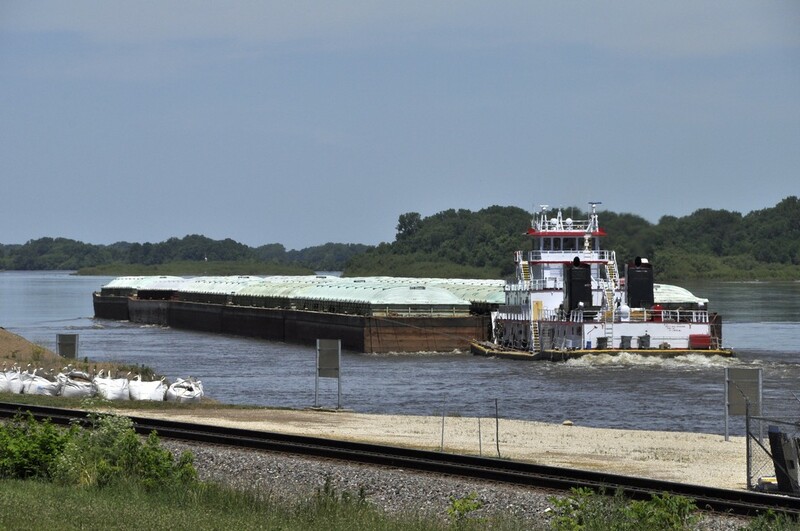 Heading north on MO79, we stopped at Clarksville to stretch our legs, and look at the dam and lock, where a very large combination of barges was being ferried northwards slowly against the current. 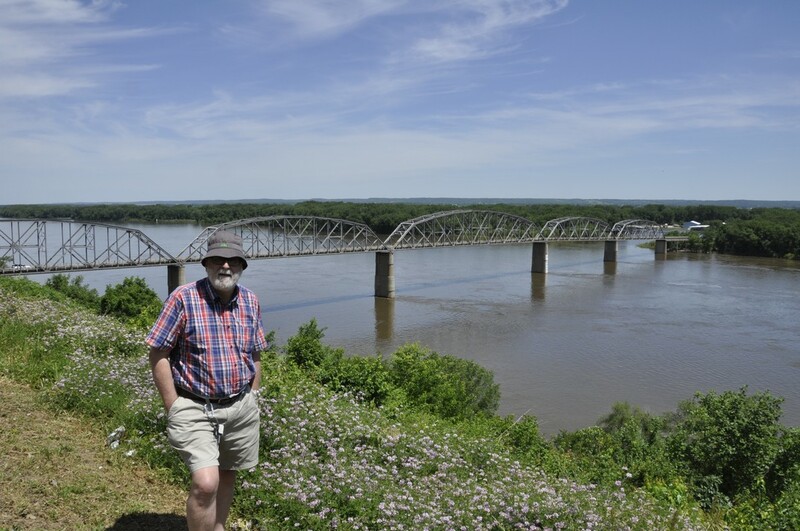 Further north we stopped also at Louisiana, MO to view the Champ Clark Bridge that connects MO and IL, from a vantage point high above the river. Then it was on to our next, and last, overnight stop in Iowa City. 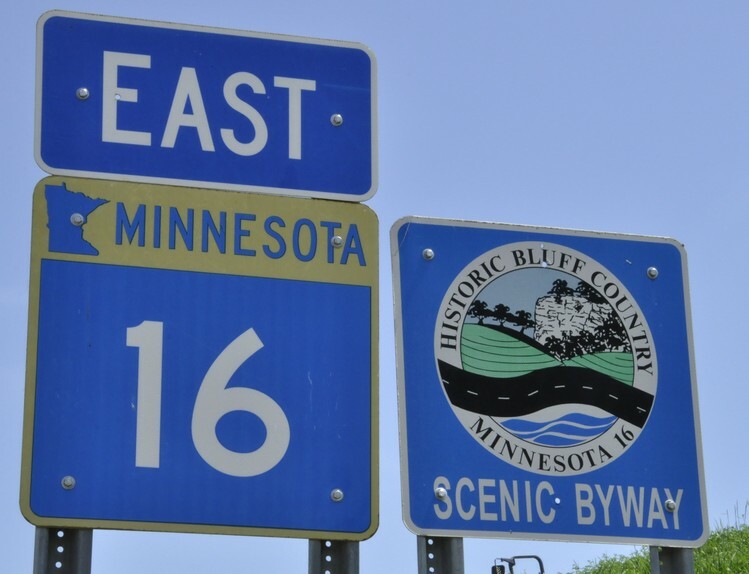 Our last day on the road, heading north on very straight roads, before crossing into southern Minnesota and crossing the Bluff Country eastwards to reach Winona on the Mississippi. Just south of the Iowa-Minnesota state line we passed through Cresco, IA which proudly advertises itself as the birthplace of Dr Norman Borlaug, father of the Green Revolution in wheat and Nobel Peace Prize Laureate in 1973, who I had the honour of meeting when I worked at IRRI. In Winona, we took a short diversion to a scenic overlook about 500 feet above the river valley and had a spectacular view north and south. Then we set off with added determination to arrive to Hannah and Michael’s in the Highland Park area of St Paul by late afternoon, and the end of our enjoyable 2017 road trip adventure. This entry was posted in Out and about, Travel and tagged Cumberland Gap, Fort Defiance, Georgia, Illinois, Iowa, Kentucky, Lonesome Pine, Mammoth Cave NP, Minnesota, Mississippi River, Missouri, North Carolina, Ohio River, road trip, Savannah, South Carolina, Tennessee, USA, Virginia, West Virginia.